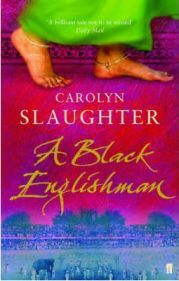 ‘A Black Englishman‘ is the tale of a British girl, Isabel Webb, who marries a soldier, goes out to India and breaks all the taboos by falling in love with a local man. It’s set in the 1920s, a time when Indians had come to believe that Independence might come their way in the aftermath of the First World War but the British just weren’t ready to let go. The book touches on some of the key events of the Independence movement but in such an oblique way that if you don’t already know about those events, such as the Jallianwallahbagh Massacre, you wouldn’t necessarily be any the wiser for reading this book. Isabel throws herself into the relationship with an astonishing degree of recklessness, heading off to Shimla, the most gossipy place in British India, to spend time with her lover, dressing in saris and pretending to be a local. Once the lovers are inevitably ‘rumbled’ by an officer who catches them together, there’s sure to be plenty of trouble as they attempt to find a way to reconcile their relationship with their personal situations.